Show your loved one how much you care with this pretty shaped Love Card, great for Valentine's Day, weddings or any other loving occasion. The download includes SVG, MTC (for Make the Cut! software) and PDF files. Assembly instructions with photos are also included. This file cuts well on any size mat. 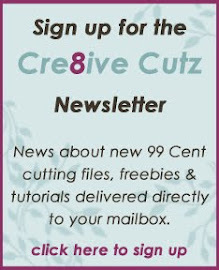 For people without electronic cutters, a scissor cutting file in pdf is also included that can be printed on the 8 1/2 x 11" paper of your choice and cut using scissors or a craft knife. 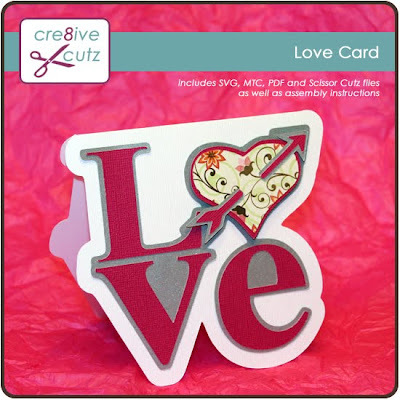 Click image below to purchase the Love Card pattern.